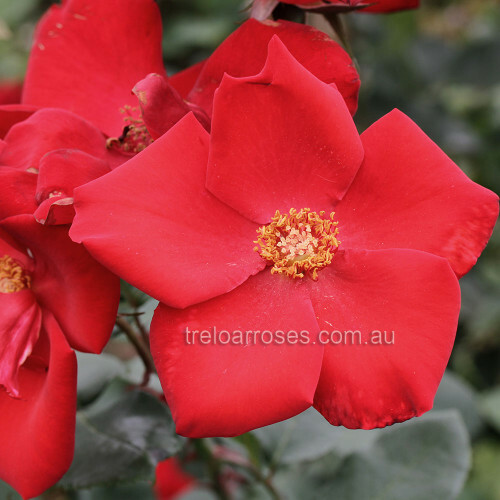 An outstanding showy climber with large single bright red blooms. Growth to 4 metres. Repeat flowering.